In this daring and romantic fantasy debut by Latinx authors Zoraida Córdova and Anna-Marie McLemore, society wife-in-training Dani has a great awakening after being recruited by rebel spies and falling for her biggest rival. At the Medio School for Girls, distinguished young women are trained for one of two roles in their polarized society. Depending on her specialization, a graduate will one day run a husband's household or raise his children. Both paths promise a life of comfort and luxury, far from the frequent political uprisings of the lower class. Daniela Vargas is the school's top student, but her pedigree is a lie. She must keep the truth hidden or be sent back to the fringes of society. And school couldn't prepare her for the difficult choices she must make after graduation, especially when she is asked to spy for a resistance group desperately fighting to bring equality to Medio. Will Dani cling to the privilege her parents fought to win for her, or will she give up everything she's strived for in pursuit of a free Medio - and a chance at a forbidden love? The key to a Primera's strength is her restraint and immunity to scandal. She must not only behave like someone with nothing to hide—she must have nothing to hide. DANIELA VARGAS WOKE AT THE first whisper of footsteps coming up the road. By the time the sound of shattering glass in the courtyard alerted the campus to the presence of intruders, she was dressed and ready. For what? She wasn't sure. After a childhood of heavy-footed military police in close pursuit, she knew better than to mistake the luxury of her surroundings for safety. She was only as safe as she was vigilant. With a lush setting, a fast-moving plot, strong social commentary and two powerful Latina women at the forefront, We Set the Dark on Fire offers a distinct Handmaiden's Tale vibe, while still being entirely original. (Reviewed by Erin Szczechowski). Starred Review. With its achingly slow-burn romance and incisive examination of power structures, this is a masterfully constructed novel, made all the more impressive as it's a debut. Starred Review. A richly constructed world full of fantasy and diversity, with a mystery that will keep them guessing until the very end. Starred Review. 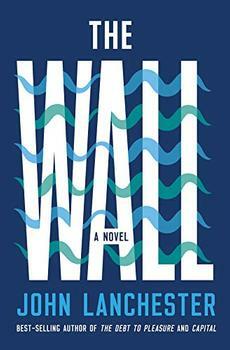 Well crafted...A queer subplot with sensual tenderness adds rich complexity to the story. Thrilling and timely. Starred Review. The first in a duology, this fierce, feminist novel throws memorable characters into a provocative set of circumstances, and the constant twists will leave readers yearning for the conclusion. Tehlor Kay Mejia has fashioned a gripping tale of romance and rebellion. Dani captivated me and held my heart in a vice grip all the way to this book's stunning conclusion. We Set the Dark on Fire simmers with political revolution and forbidden love between two powerful young women - I couldn't put it down. A vivid tale of political intrigue, power, and resistance that will thrill the hearts of readers. 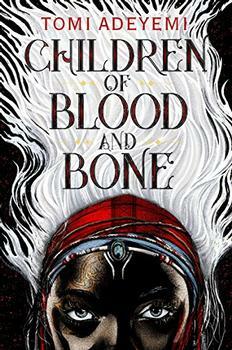 Tomi Adeyemi conjures a stunning world of dark magic and danger in her West African-inspired fantasy debut, perfect for fans of Leigh Bardugo and Sabaa Tahir. The best-selling author of The Debt to Pleasure and Capital returns with a chilling fable for our time.